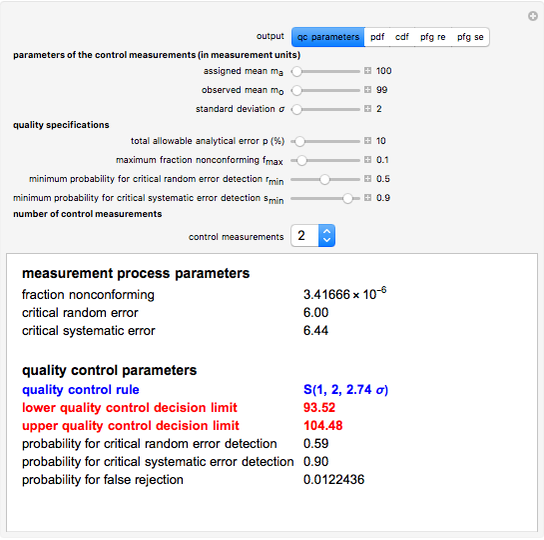 This Demonstration can be used to estimate various parameters of a measurement process and to design the quality control rule to be applied. 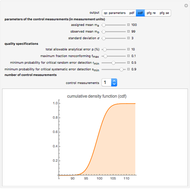 You define the parameters of the control measurements that are the assigned mean, the observed mean, and the standard deviation, in arbitrary measurement units. 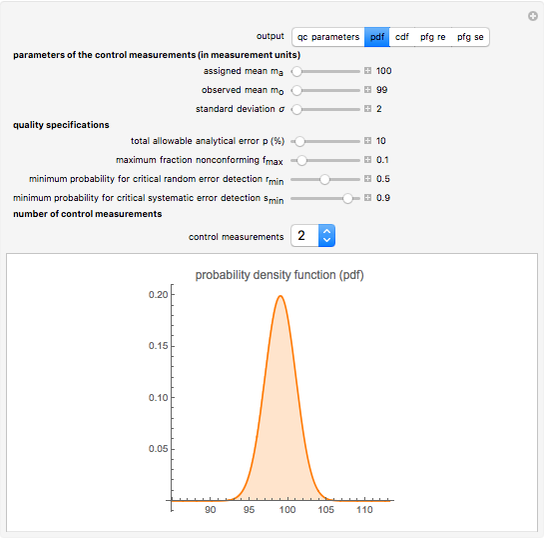 In addition, you define the quality specifications of the measurement process, that is, the total allowable analytical error (as a percentage of the assigned mean), the maximum acceptable fraction of measurements nonconforming to the specifications, and the minimum acceptable probabilities for random and systematic error detection. 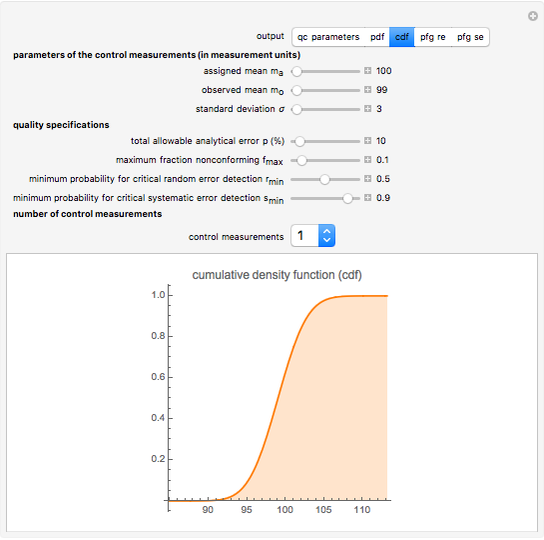 Finally, you choose the number of control measurements. 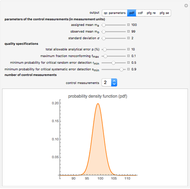 The power function graphs ("pfg") are the plots of the probabilities for error detection versus the size of the error. 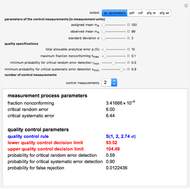 This Demonstration can be used as a tool for the design and evaluation of alternative quality control rules for a measurement process. A. T. Hatjimihail, "A Tool for the Design and Evaluation of Alternative Quality Control Procedures," Clinical Chemistry 38, 1992 pp. 204–210. Aristides T. Hatjimihail "Tool for Quality Control Design and Evaluation"